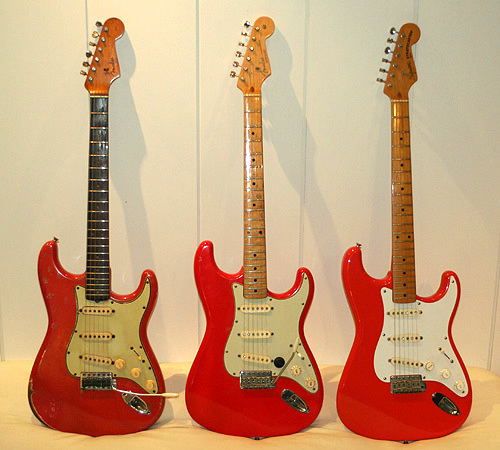 In fact, Fender did not only offer Fiesta red but also some more, different kinds of red. One is Dakota red which is darker than fiesta and closer to the firebrigade red . 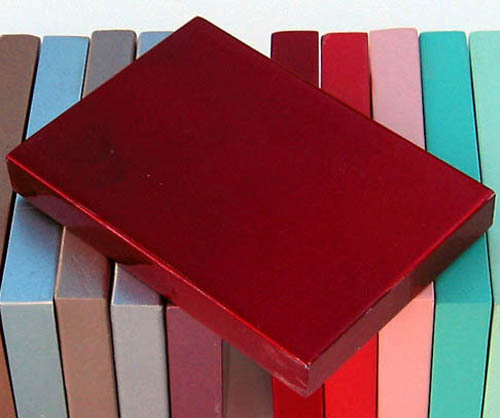 And a third one was a metallic red called candy apple red which looks similar to Dakota on many pictures that often do not justice to that metallic look. Candy apple red means the guitar is finished in silver or gold first before a translucent red finsih is added. For this reason there are two different variations around (over silver and over gold), the one over gold looks warmer. 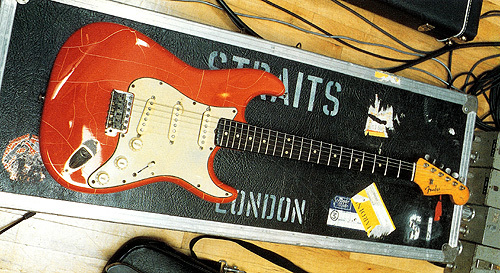 Mark Knopfler’s red Schecter is an example of this finish. The following pictures (courtesy of curtisnovak.com) show the different colours in direct comparision. 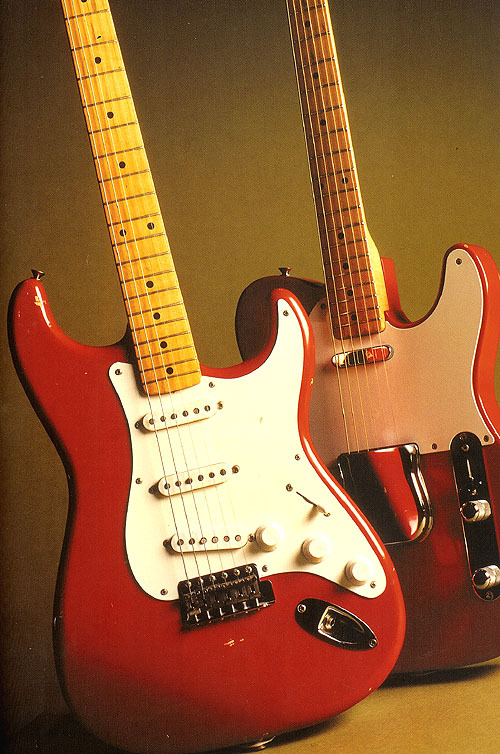 The two red Fender Stratocasters that Mark Knopfler played in the late 70ies when he started with Dire Straits were both refinished. As at that time noone refinished to any exact vintage Fender specifications, they were simply ‘some’ red, both did not not meet any of the original Fender colours. The one with the rosewood board (S.-No. 68354, he still has this one) was lighter and more of an orange, and closer to fiesta red than the one with the maple fingerboard (S-No. 80470), which was darker and more towards Dakota red. However, the 68354 was ‘redder’ than fiesta red which sometimes has a tendency towards tomato soup, while the 80470 was lighter and brighter than Dakota red. 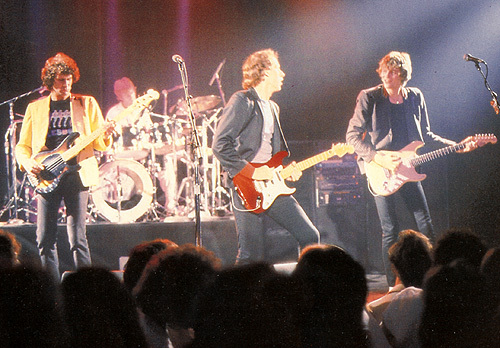 There are hardly any pictures that show both of Knopfler's Strats together. Left the 80470 and right the 68354. When Fender built something like a reissue of Knopfler’s red Fender with the MK signature model, it seems they copied this red and called it hot rod red. 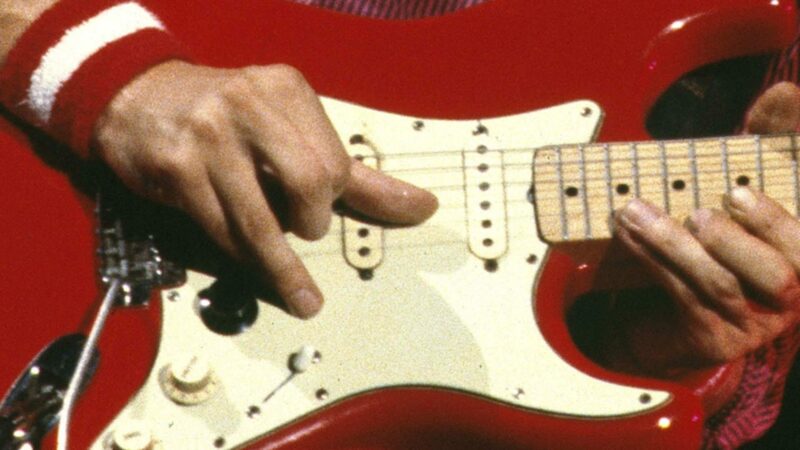 Note however that as it seems meanwhile Knopfler’s 68354 Strat was refinished again as the old finish cracked (see picture below) so it can’t be said with certainty if this hot rod red is the same as that Dire Straits red. 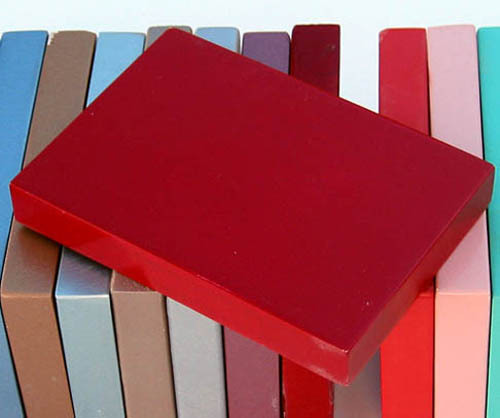 All kinds of red are generally photo reactive which means they easily fade when exhibited to light, something that was especially true for vintage laquer. 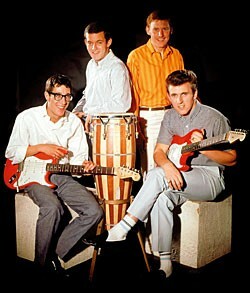 Especially some fiesta red guitars today look rather pinkish so that names like Salmon Pink are also common. As said, this is the same as fiesta red, there has never been an official name like this in Fender’s ‘official’ custom colour chart. on the pic with both Mark’s strats, he seems to play with a pick (or maybe doing a virtual pick with his nails, as he seems to do often live, e.g. on Tunnel of love, or Money for nothing). It’s very rare on this guitar. The only song that I guess played with a pick during this period is Twsiting by the pool. I can’t see others songs of 77-80 played with pick. Mark is left, David right. I can’t see a pick, looks like Mark’s anchor. This picture is from the ‘Pool video’ of the first Twisting by the Pool demo BTW (parts are included in the Arena BBC docu), and in fact Mark played a pick on this song but I don’t remember if he plays a pick or finger style on this ‘mimic’ video, need to check. So I thought Mark was on right too, so with a pick. 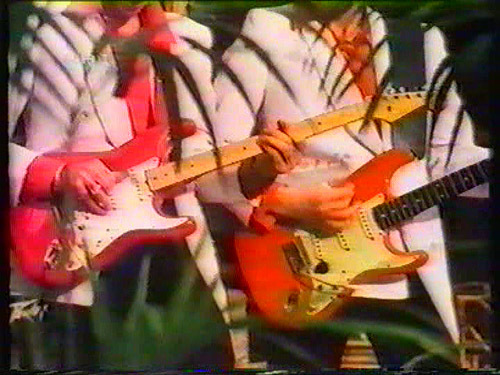 Indeed, I didn’t remeber that David played the rosewood strat on this part of Arena doc. Great blog again thx Ingo! 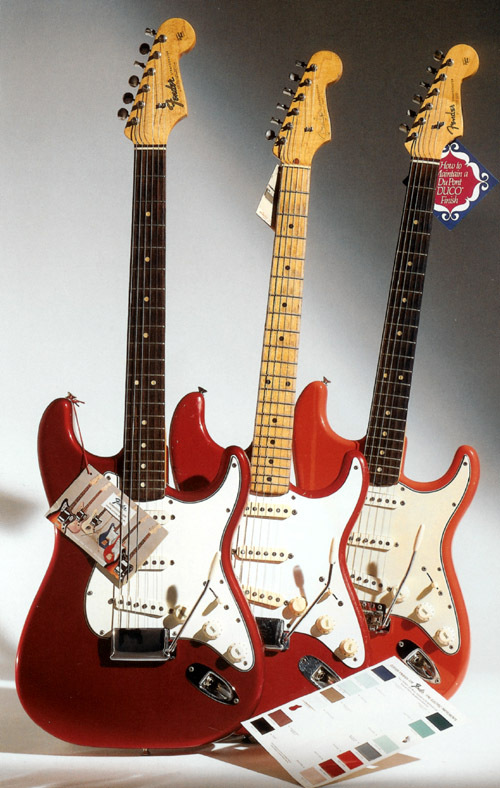 Yeah I read that due to the Shadows massive popularity (which can’t be underestimated they were really huge at the time) the strats coming in from the US were refinished for the UK market (in red of course or shades of) – it’s actually mentioned in the official fender strat book. Also I think a lot of the strats back then were under coated white so any colour could be sprayed on afterwards. Or simplying just refinished to meet an order request quickly. 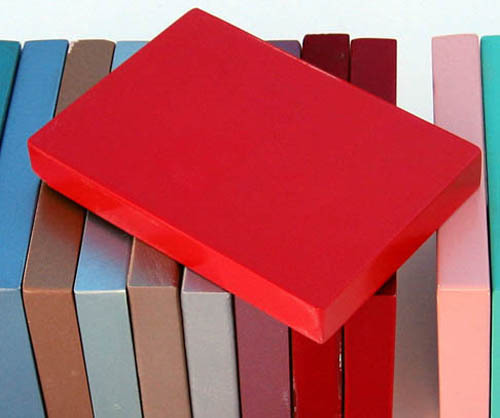 Sometimes the white finish can bleed into the red and you get a lighter or pinker finish. 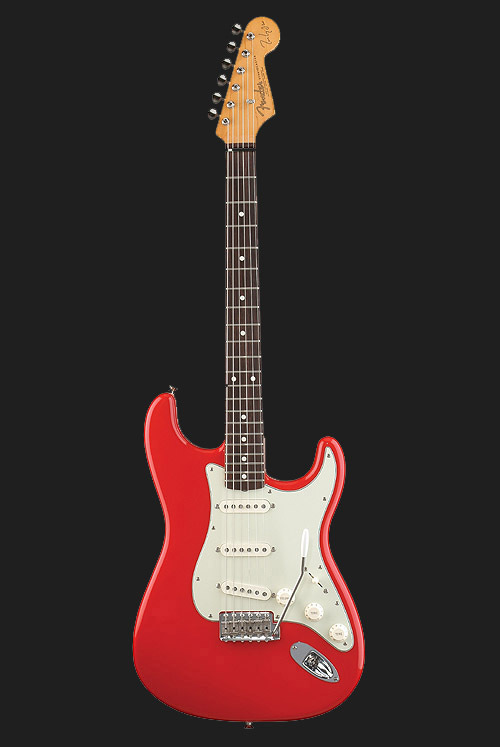 Great as always ;o) I read some where regarding the Candy red thing, that candy apple was as you say with a silver undercoat, but have a look at the 2008 strat which is called candy Cola red, because it is with a gold undercoat? at least that was the story I was told when I bought my 2008 strat. I can help on that actually, my strat is in candy apple red, and has a gold undercoat, but the undercoats have been done in both silver and gold at varying times by fender (not sure about the schecter ones), I’ve heard it said that a silver undercoat makes for a slightly darker finish, and fender only use gold at the moment. I also know David Gilmour’s candy apple strat has a gold undercoat, so pictures of that might make a good reference to campare with Mark’s. The image above of the vintage candy apple, dakota, and fiesta is from Tom Wheelers book ‘The Stratocaster Chronicles’, and he says the candy apple in that image has a silver undercoat. 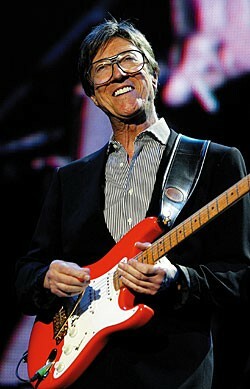 Just a note: the official fender “hot rod red” color came about a few years before they issued the MK signature guitar. Case in point is my own american hot rod red stratocaster, which I can provide pics of if you’re interested! I used to agonize over registration of double-sided boards. Then I realized I could print a single transfer with both top and bottom layers and just fold it in half, sandwich the board inside the folded paper, and iron. If I’m careful to keep the paper and board from moving during ironing, registration ranges from usable to great.To create the transfer in Eagle, I make a copy of the .brd file to break back-annotation and prevent the schematic module from complaining about all the new components. I turn on all layers, group select the board and duplicate the group. Then I mirror the duplicate. I trim the edges of the printout for alignment when folding.For vias, I use brass “head pins” intended for jewelry-making:http://www.joann.com/brass-head-pin-gold/7708282.htmlI’m not sure what the gold finish consists of, but it seems to wet OK for soldering. Head pins also come in nickel and silver finishes, which should be easy to solder. please send me a email at tropico@safe-mail.net – im so lonely and i need company! present at thyis website is actuaally marvelous.